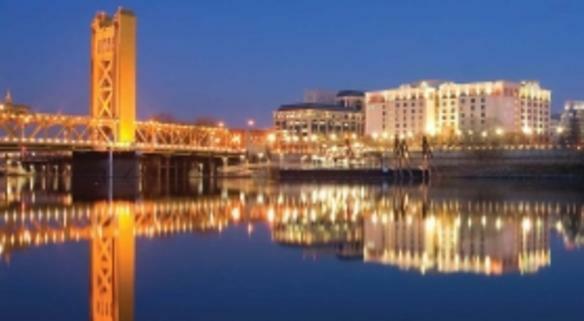 Located on the Sacramento River across from historic Old Sacramento, the Embassy Suites is the only "all suite" full service hotel on the river. A complimentary full cooked-to-order breakfast and nightly Manager's Reception are included benefits with every spacious suite. The hotel also features meeting facilities, restaurant, pool, spa, fitness and business center. AE, ATM, DC, DI, MC, V, W.A. Type of Food: Local farm fresh California cuisine with a variety of ethnic flavors. Description Over 8,600 square feet of flexible meeting/banquet space. Largest meeting room is 3,052 square feet with banquet capacity for up to 280 people. Full catering services. In addition to the variety of custom meeting space options, every guest suite, with its built-in features and well lit work space provides an excellent small meeting room.